I was so looking forward to getting into this book and from page one, it was pure Dylan. Hard to truly "get". He tells how he came to New York to see performers, and in particular, Woody Guthrie, and what he discovered when he got there. Dylan's writing is wonderfully metaphoric as he recalls the up and coming stars he ran into and how they all struggled to make it in showbiz. He was there and was a huge part of those changing times. He explains how "there were a lot of better singers and better musicians around these places but there wasn't anybody close in nature to what I was doing. Folk songs were the way I explored the universe, they were pictures and the pictures were worth more than anything I could say" and "with me, it was about putting the song across", which to me, seems to sum up the man. I wish I could use more quotes but there would be too many and all out of context - instead, read this in peace and quiet so you can fully absorb his work and meanings. "Folk songs transcended the immediate culture", he said about some friends and the late 50s culture, while living in New York. Prior to this though, Dylan wanted to go West Point. Imagine that! Reading his book, it's difficult to believe he has so much to say as he rarely speaks more than is necessary when you see him interviewed. When you see him interviewed. Also, he must have a phenomenal memory as the details he recalls are incredible. A lot of name-dropping of performers, who, like Dylan, were making their way upwards. Extremely interesting to note he believes in destiny - like he knew he was bound for greatness. Interestingly too, and hard for his fans to believe, is that Dylan insists he wasn't the leader of anything - he just wanted to write songs. Misconceptions gone awry all these years. 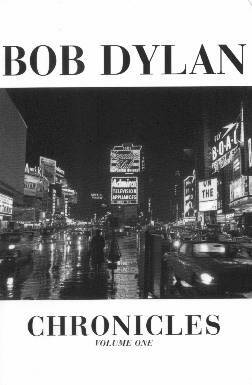 Conclusion - A must-have for Dylan fans. A little laborious with all the "names" and he seems to be avoiding the personal issues. No real details were given in this book.